Happy June! Does it feel like you were just setting your goals for 2017? More importantly, can you remember what those goals were? If you forgot about your financial goals for the year by Valentine’s Day, you’re not alone. Nearly every person who sets resolutions doesn’t achieve them. But the year isn’t over, and you still have time to make serious strides before the year’s end. If you’ve fallen off track with your financial goals, your first step is to see where you actually stand. Let’s say you wanted to pay off a significant portion of your student loan debt, but you’ve fallen into the habit of paying your minimum amount due each month. Check where you are now, how much you want paid off by the end of the year, and how much you’ll have to increase your monthly payments to get there. Sounds simple, right? People don’t get lazy with their financial goals because they’re complicated, necessarily. They let their goals fall by the wayside because they slip back into old habits and routines. Sometimes doing something as easy as taking 10 minutes to remind yourself of what you hope to achieve can kickstart new progress. By the way, you might be pleasantly surprised. Don’t forget to appreciate the little changes and successes you have accomplished along the way. They will give you the fuel to keep going. Now that you’ve familiarized yourself with your January goals again…toss them out. At least for now. There are two areas that might need a shift in order for you to take action this summer. First, you need to see if those resolutions still fit your lifestyle. A lot can happen between January and June. Maybe you got a new job, moved to a different state or experienced a major change in your cashflow. Setting goals gives you a guide to help you make beneficial decisions, but only if those goals still make sense. Second, look at why you might have abandoned your goals in the first place. Maybe you’re right on track with your resolutions, and if you are, good for you. Keep up with what’s working. But if you’re like most people, those resolutions have long been abandoned. This is a great opportunity to reframe them as systems or habits rather than goals. The best way to do this is to break them down into S.M.A.R.T. goals, which means that your goals are specific, measurable, achievable, realistic, and bound by a certain time or end date. For example, instead of setting a goal to rebalance your portfolio, break it down into actionable steps. Maybe this month you’ll research different investment opportunities, next month you’ll check your ratio of stocks to bonds, etc. Giving yourself steps to reach those goals is a lot less daunting, and easier to adjust along the way. Speaking of your investments, the summer is a perfect time to check up on your portfolio. Why? Because this is when the financial world slows down before kicking into high gear again in the fall. 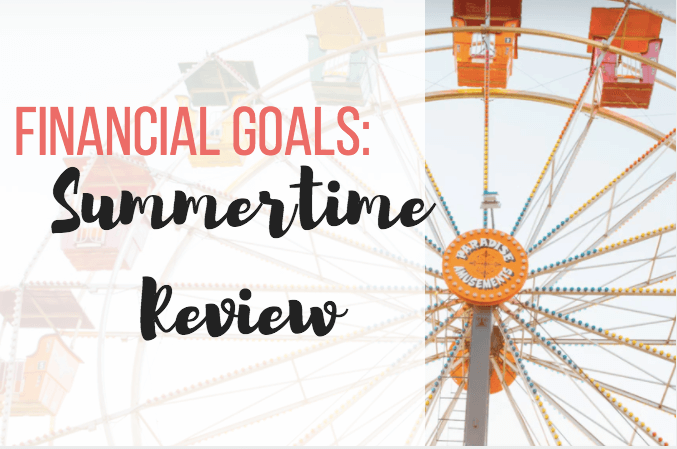 The summer is right in between tax season and year-end prep work season, so now is the perfect time to assess your investments and asset allocations. Check up on your 401(k) contributions while you’re at it. If you haven’t maxed them out, how much more do you need to add? Prepare the groundwork now for the year-end work you know you’ll have to tackle in the coming months.